1. 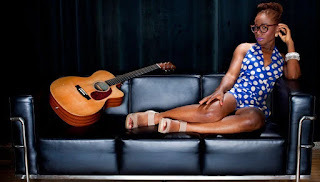 Know your preferred genre of music: Initially when Asa started music, she was always seen with her guitar. Even though she doesn’t move around with it as much, we all get the drift that she is your everyday Nigerian musician who favors the party jam as against conscious songs. Asa sound is predominantly alternative but she effortlessly blends other genre’s into her music. 2. Stick with ii: Four albums and countless performances later, Asa has remained true to her sound. Even though she sometimes experiments, it is always within her preferred genre of music. 3. Rise above scandals: Asa hasn’t been immune to scandals. From lesbianism allegations to the fiasco with the Kelvin Luciano led Questionmark records to her getting breast enlargement surgery, she has always risen above these setbacks and won her detractors over by constantly getting better with the release of each song and album. 4. Keep your private life PRIVATE: Who is Asa dating? How many children does she have? Has she been seen in public with anyone in a romantic situation? There are very few people who know the answer to these questions and that is how it should be regarding celebrities. Every part of your life doesn’t need to be out in public. 5. Always give your best on stage: I’ve been privileged to see Asa perform live on stage and the way she gives her all on stage even though her songs aren’t club songs is really great. She exudes so much passion that the crowd is usually enthralled by her performance. A typical act sees her come on stage fully dressed with her heels on but by the time the show is over, her heels are off and her jacket is usually on the floor. 6. Do not under estimate professionalis: Many Nigerian musicians today seem to have forgotten that professionalism is a very important part of their craft. I’m yet to hear of any show that Asa was supposed to perform in and she got there late. Or maybe she collected money for a show and did not turn up. Little things like this always affect an artiste’s overall brand. 7. Always have the right people around you: Asa performing alongside her manager and friend Janet Nwose Another mainstay of Asa’s career has been her close relationship with her manager Janet Nwose and her producer Cobhams.Asa and her longtime producer Cobhams Asuquo these two have been at her side since the beginning of her career and even though Cobhams doesn’t produce for her as much, Janet is still her manager.